The Scandi home style is perfect for anyone that craves a bit of order and simplicity in their home. 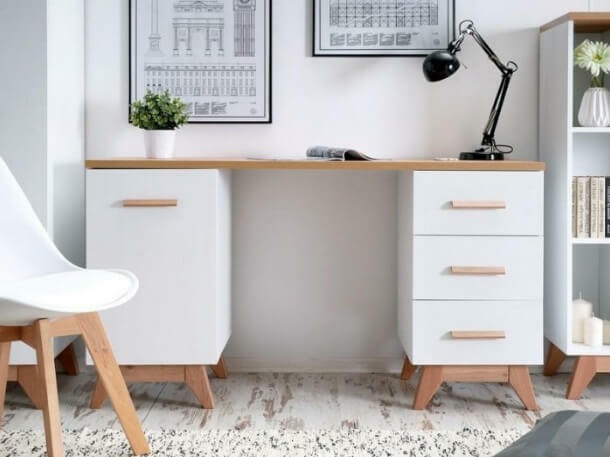 In a world of excess having a Scandinavian home office can help you to feel calm in your workplace. 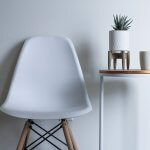 It can also help to boost productivity if you’re working in a space that is free from clutter with calm neutral tones. 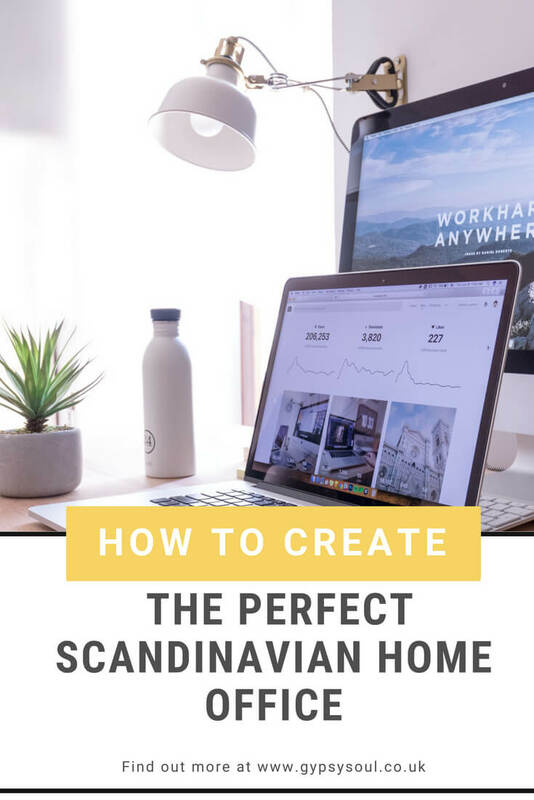 Today I thought I’d share with you some top tips for creating the perfect Scandinavian home office. The more things that you have on your desk the harder it is to concentrate. If you can find a home office desk that has not only a beautiful form but is also functional. 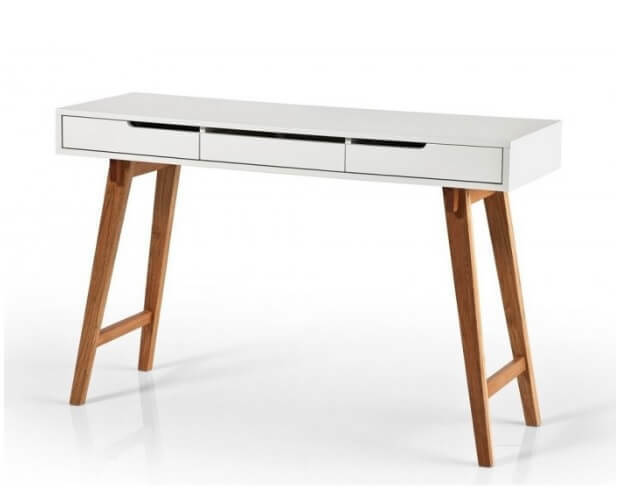 The perfect Scandinavian style desk would be white and wood. Very simple on the top and have a couple of thin drawers underneath. 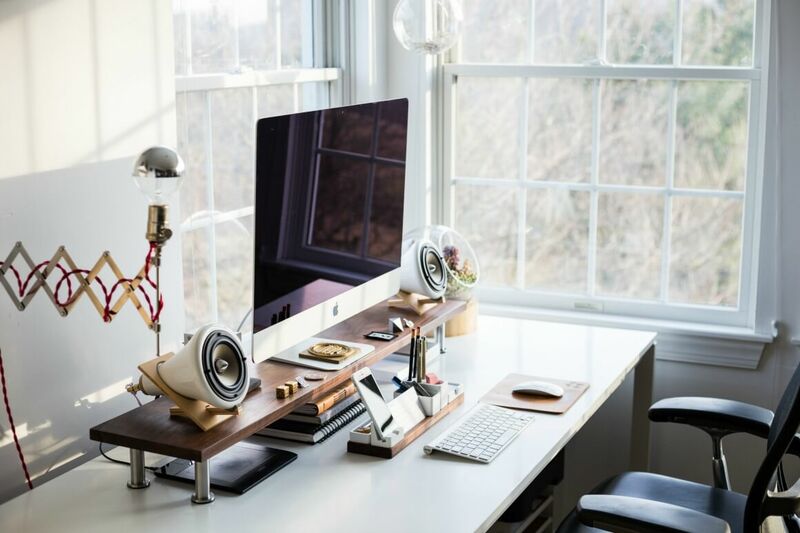 Just like this office desk pictured below from mrhousey. 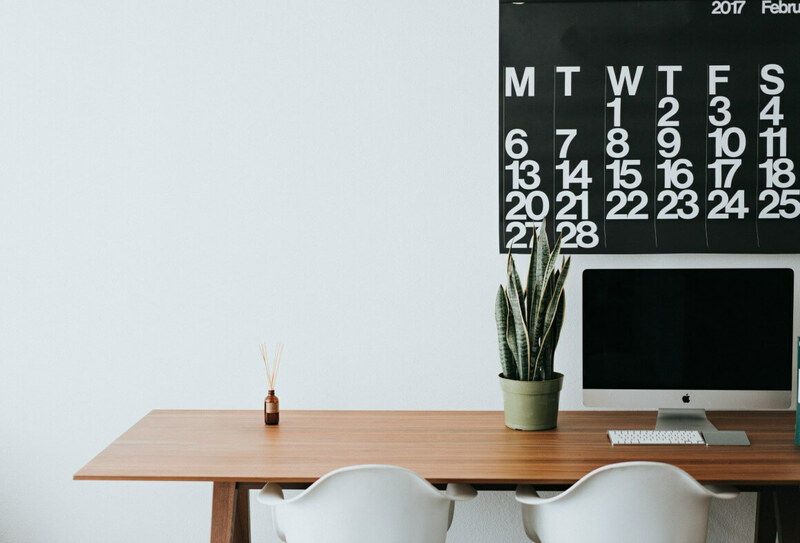 We have already discussed having a great desk but what else do you really need in your home office? 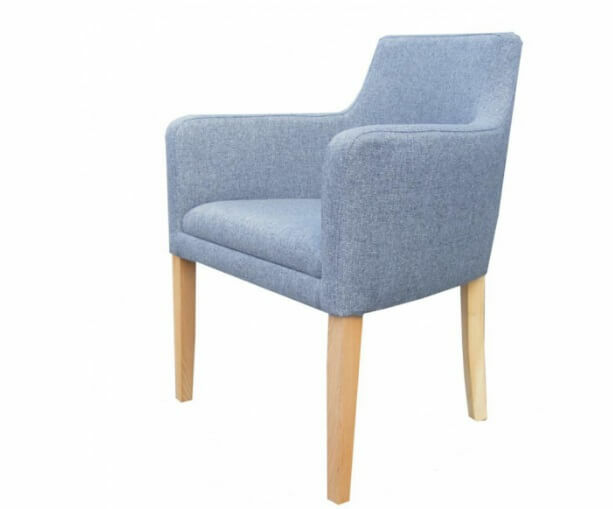 A comfortable chair and perhaps a filing cabinet. Try to keep the furniture to a minimum. Only have what you really need. Too much furniture can make space feel small and stop the flow of energy. Neutral tones work perfectly in a Scandinavian home office. Start with warm greys & white and then add in some subtle colours like an icy blue or dusty pink. No Scandinavian style home office would be complete without some houseplants. If you have shelving in your office try having a few succulents in small pots. If you have the floor space opt for a larger plant like a Dracaena (dragon plant) or a Spider plant. Both of which help to purify the air. We have both in our home and I love them. Great for a houseplant novice like me as they require minimal maintenance. To soften up your home office consider adding in some textiles like a large rug or sheepskin throws. 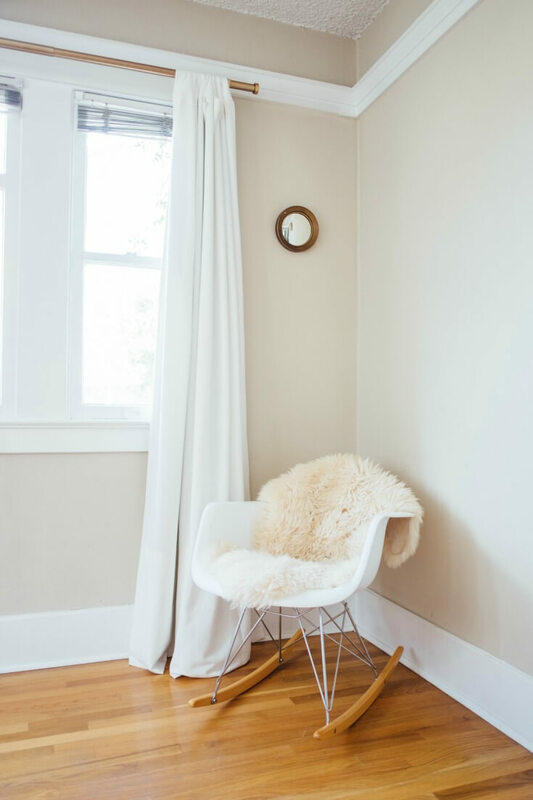 The sheepskin throws look particularly good when they are placed over a chair. 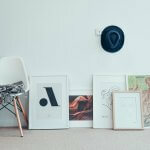 Wall prints work particularly well in a Scandinavian style office. 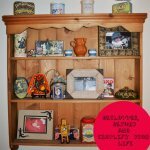 There are hundreds out there to choose from but some of my favourites can be found on Etsy. 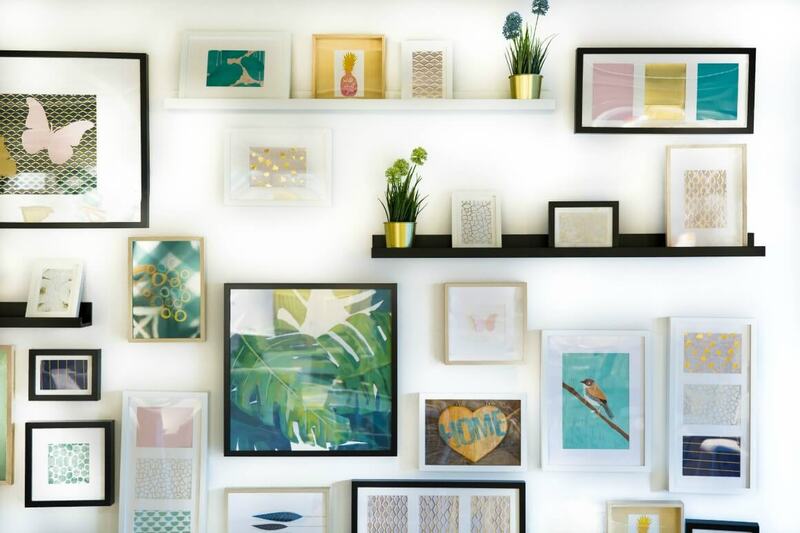 Your new wall prints can either be placed in nice frames on a shelving unit or hung on the walls. They also help to add a bit of extra colour to the room. My favourite type of wall prints for a home office is *motivational quotes. You can even try to create a nice vision board with them. Lighting is an important part of Scandi interior design. This is due to the fact that they have such long Winters with minimal daylight. That is why they paint their walls with neutral tones to reflect the light around the room. If you can get a statement piece of lighting for your ceiling light and then have a few side lamps scattered around the room. For your free-standing lamps try and find simple white lampshades with wooden legs. They fit the Scandinavian style perfectly. Bamboo products not only look great in an office but it’s also a sustainable material. Wooden products also help to bring warmth to a room. Keep your eye out for *bamboo desk organisers to add a touch of glam to your desk. So what about you, do you like the Scandinavian home office style? Is it a style you would consider for your home? Let me know in the comments below.